Check out what our students have to say with a student produced Video Production! At Bellows Free Academy all students learn respect, dependability, and productivity. With academic and social supports, students learn to be effective problem solvers, active community members, and lifelong learners. BFA was built in 1930 with money from railroad stocks that Hiram Bellows left in a public school fund for after his death. 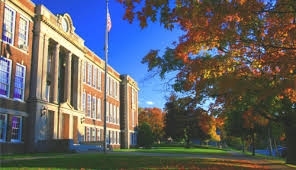 BFA South is the original building, but when an expansion was need in 1997, BFA acquired the former St. Albans Hospital. In it's 86 year history, BFA has had 7 Headmasters and 3 Principals. At one time a quasi-private institution, it became public in 2008. Bellows Free Academy is unique in that its tradition span 86 years. The names of their boys and girls teams have their roots in former longtime coaches: the boys teams are Bobwhites, the girls teams are Comets. No other high school has separate names for their girls and boys teams! In May each year, the tradition of Junior Escorts has students clamoring to be a part of the history. In this tradition, the graduates are led in by Junior girls/boys at the ceremony. Another such tradition is the Junior Jamboree Drama competition. This is a one act play competition that is student directed whereby the freshman compete against the sophomores, and the juniors against the seniors. Each class competes for either the Beaman or the Wilson Cup, each named after former teachers. Bellows Free Academy offers multiple opportunities for students to engage in postsecondary learning. Course offerings allow students allow to explore many interests, and events like "The Opportunities Fair" and "Manufacturing Days" include partnerships with local businesses for job placement after high school. 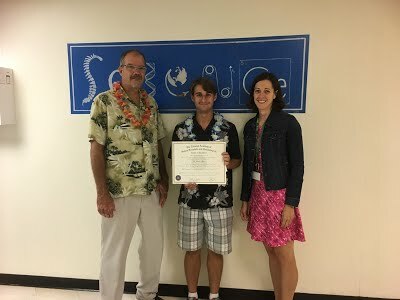 Students are also able to earn college credit while still in high school through Dual Enrollment, as well as receive college credit through AP courses. Students at BFA have access to the Northwest Technical Center, where there are 11 programs to choose from. 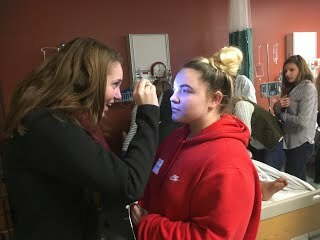 In the photo above, Meagan Gaetano and Dalani Cadieux experiment with Optometry equipment at VTC’s Try a Major Day. Bellows Free Academy is about relationships, and new students quickly become a part of the diverse community. Students form strong bonds with peers and faculty. Students can find their niche and grow as individuals within the support of the BFA community. There are more than 50 co-curricular activities offered, all of which cover a wide range of interests and are all supported by caring faculty and staff. Activities include leadership opportunities, career related clubs, arts activities including music, dance, drama, diversity groups and club athletics. Bellows Free Academy offers over 150 courses in 10 subject areas including 4 languages and a rich elective program. Our students have access to diverse online learning opportunities, access to college credits while in high school, and strong academic supports. $263,293...that's how much tuition money BFA students potentially saved last year alone through AP and Dual Enrollment coursework. 79 students earned potential college credits through AP coursework and Dual Enrollment, as well! During the 2016-2017 school year, 136 students took a total of 256 Advanced Placement exams and had a pass rate of 64.7%; a four percent increase from 2015-2016. Additionally, 98.5% of our graduates left BFA with a post secondary plan for career or further education. Based on end of the year data, 61% of students will attend four-year colleges, 11% will go to two-year colleges, 3.5% plan to join the military and 23% will enter the work force.